I don’t know what type it is though. 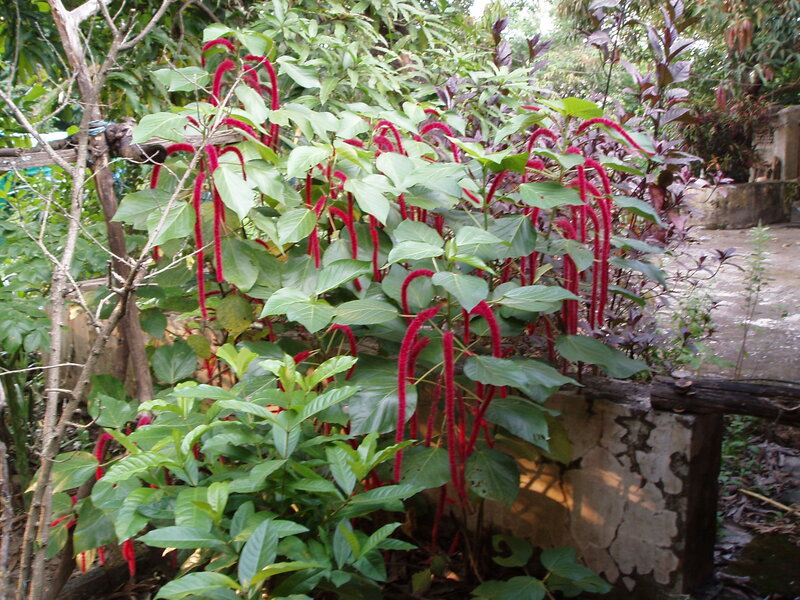 From comparing on-line pictures, it doesn’t appear to be the common “love-lies-bleeding” or Amaranthus Caudatus, as the flowers are different. The shrub is nice enough but the striking pendulous red flowers aren’t really to my taste.